It’s been quite a journey my hair and I have been on over the years. There was the sweep over fringe which started way too far down my head circa 2007, the block fringe which went wrong (cut in after I saw a picture of Daisy Lowe with a full fringe, the difference being she was a stylish famous model and I was in 4th year doing my Standard Grades). There was the time I accidentally went blonde, my phase of not being able to leave the house without fake hair clip in extensions and my short lived weave which literally made me want to pull my hair out. I always wanted the longest hair, even if that hair was frazzled and desperately in need of a good cut. It may have taken years until the realization, but I made the rather grown up decision last summer to go for a serious hair chop. My hair instantly felt smoother, thicker, like I could be in a shampoo advert and swish my hair around. I made the vow to myself, and to my hair, that I would never let my hair get into bad condition again. I went back 6 weeks later, feeling smug at how nice I was being to my healthy hair. Fast forward a few months and I was back to my hair raising ways. It wasn’t intentional, it just suddenly seemed to be April and my hair was not looking it’s best. This was when Pixie Hair and Beauty stepped in to work their magic on me. 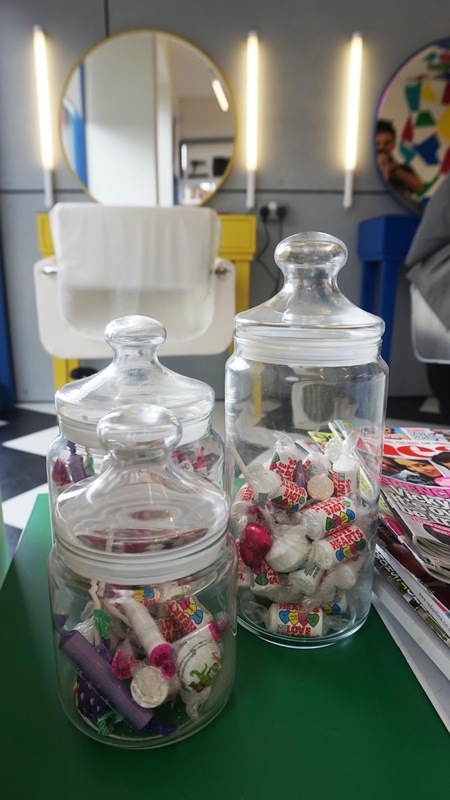 I had seen little snippets of the new hair and beauty salon on social media since their launch in October last year, but had yet to visit. 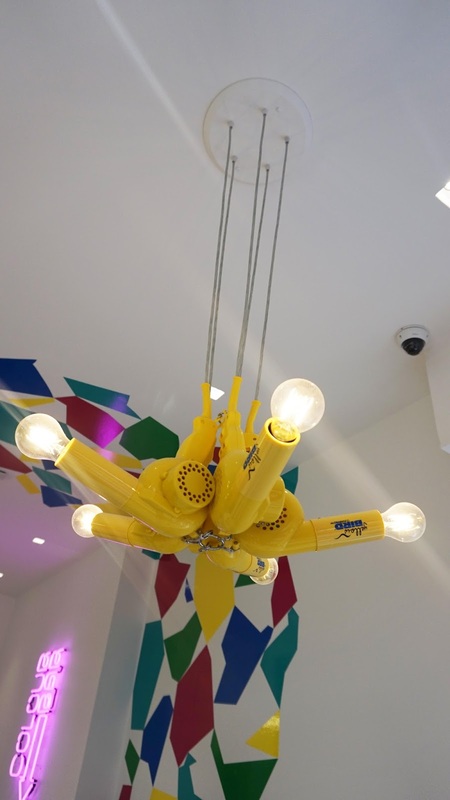 I’m so happy that they invited me in as the salon is fabulous! 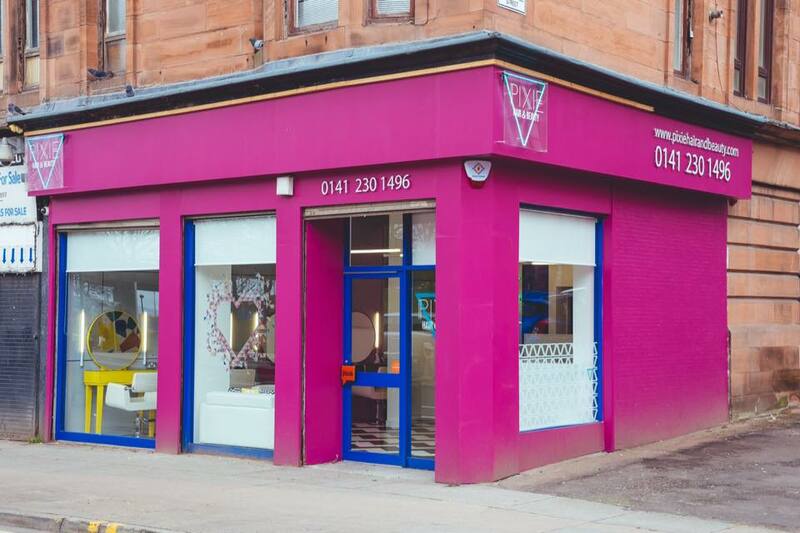 First off, you cannot miss it on Dumbarton Road with a pop of bright pink making the salon seriously stand out. 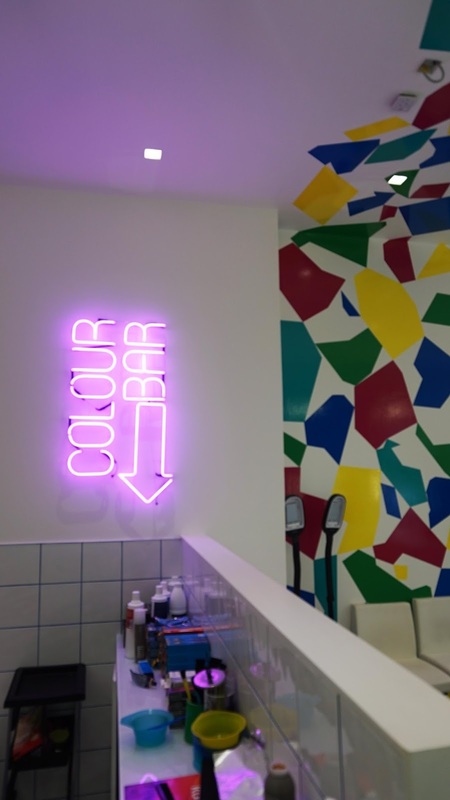 Inside, it is all geometric prints with vibrant 80s colours, neon signs and – my favourite – old school R&B music which makes you want to go out for a cocktail and a dance straight after your appointment. The interior and Pixie’s statement graphics were created by Glasgow based KabeDesign so it’s even nicer that it’s all local talent supporting local talent. Back to the appointment, salon owner (and hair miracle worked) Emma MacNeil was on hand to sort my tresses back to their former glory. I had let my previous colour grow out, with only a tiny amount still visible at the ends of my naturally dark brown hair. I wasn’t sure what look I wanted, I just knew I wanted an update for summer with a subtle lighter colour blended in. Emma spoke me through different colours and ways we could do this before we settled on a lovely warm caramel. Colour in, I relaxed with a magazine, a cup of tea and a Tunnock’s wafer, enjoying the fun and friendly atmosphere of the salon which was a pretty perfect Thursday afternoon. 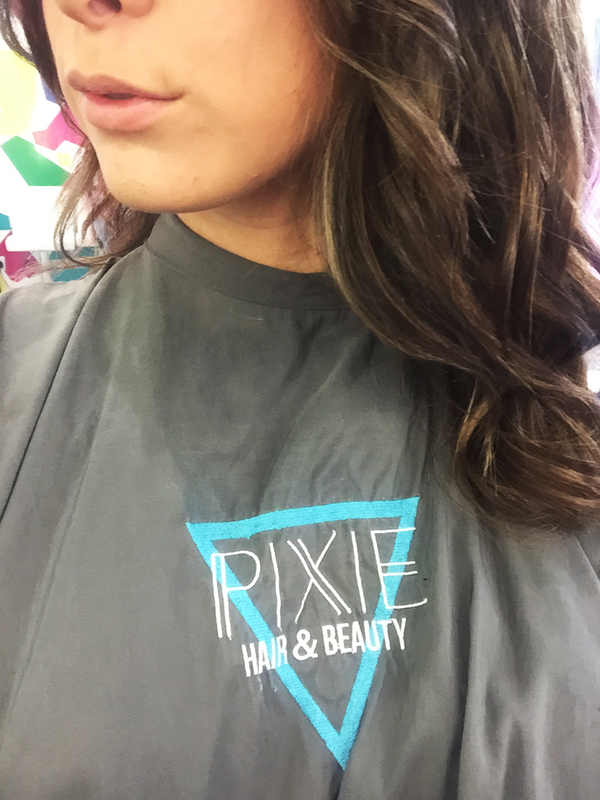 I was delighted to find out Pixie use Innoluxe, which is known as the wonder treatment from the Hair Gods themselves, fixing the most damaged of hair. Emma took so much time to get my colour and cut just right. I love the anticipation when your stylist starts drying your hair and getting to see the colour for the first time. I was so delighted with the glossy colour, I could have cried actual happy tears! It’s amazing how your hair looking and feeling better can make you feel so much better inside too, it’s an instant confidence boost. 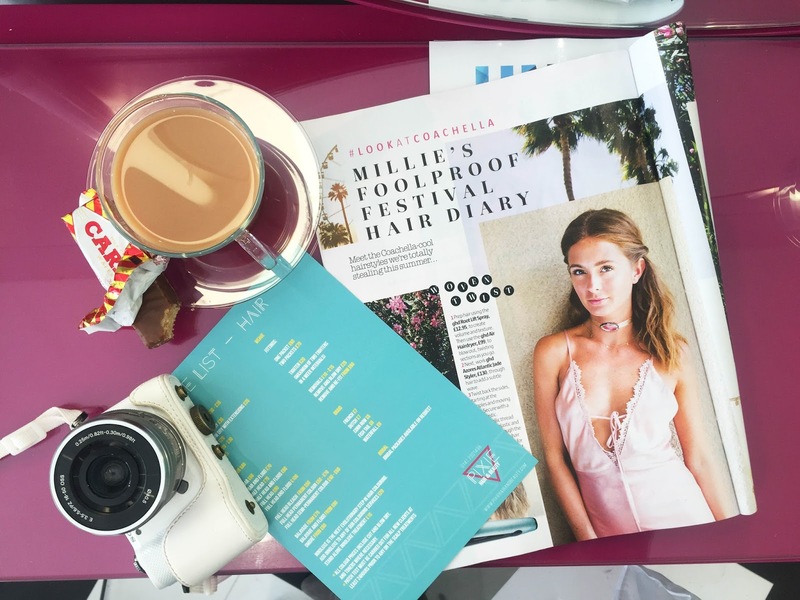 My newly cut and coloured hair made its debut at the Emporio Armani party that evening and the bouncy blow dry was still so perfect the next day I went to my friend’s wedding the next day without even having to touch the style! 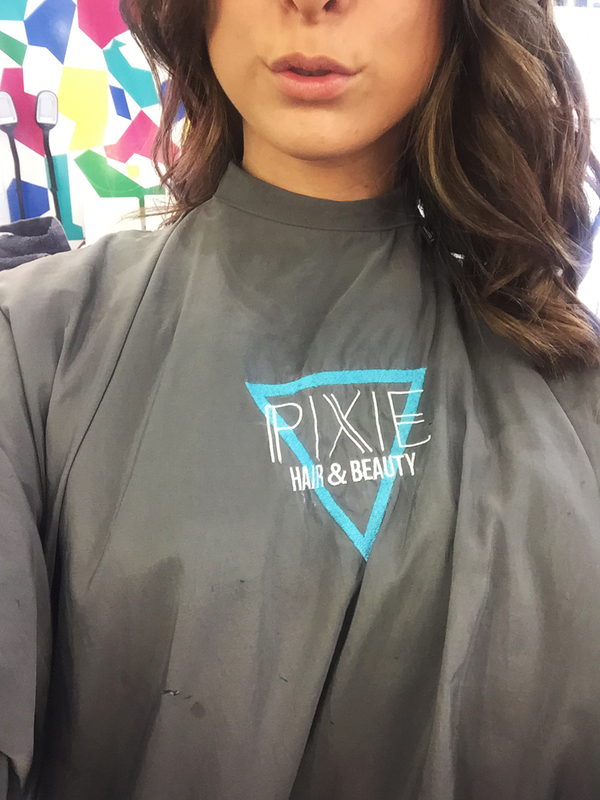 10/10, Pixie! 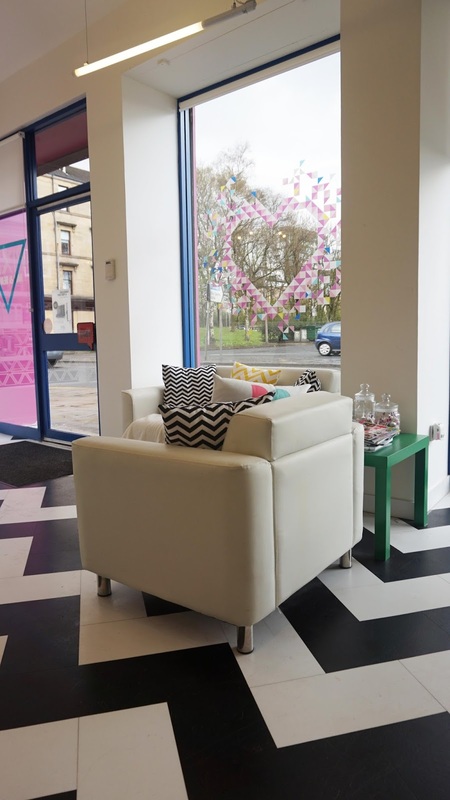 Pixie Hair and Beauty is located at 680 Dumbarton Road, Glasgow. 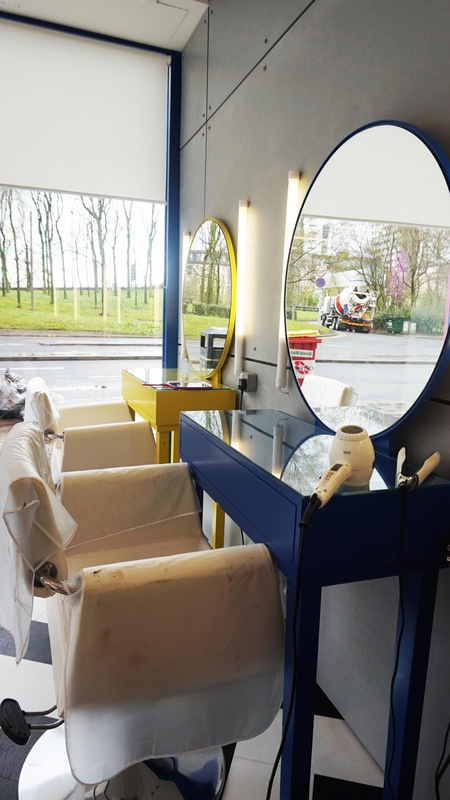 To book an appointment, call 0141 230 1496 or follow the lovely team on Facebook here. With thanks to Pixie Hair and Beauty, all opinions my own.